Social media marketing is not just about having company profiles on social media platforms. It is mandatory to be more active and creative to stand out on social media. Your business must have pages and profile on trending social media such as Facebook, Twitter, LinkedIn, Pinterest, Instagram, Snapchat. You should give something new every day to your followers to keep their interest in your company. 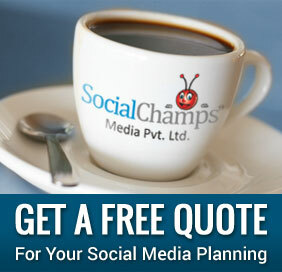 Social media marketing can take your business on another level if done properly and skillfully. Making use of social media for promoting your business to generate more leads is the primary segment of marketing strategies. With increasing competition, you have to be more creative, more active and more innovative while running your social media campaigns. Business world is getting digital rapidly. Your digital appearance creates image of your organization in people’s mind. Implementing social media strategies effectively to covert the targeted audience in the customers is the biggest challenge in front of the marketers and entrepreneurs. What social media trends you should not avoid? 65 billion of all the social accounts are accessed through mobile phones. Smart phones and internet services are now affordable to most of the pockets, resulting in accounting 65-70% of web traffic. This traffic will continue rising in coming years. People spend a lot of time on all types of social media. Your target audience will find you on channels, to convert them into consumers you need make your social media page innovative and communicative. Videos are creating lot of engagement on Facebook and Twitter. Video making and uploading has become easier than before. People love to watch unusual and informative videos. You can promote your product or services through live videos also. This is the unique way to make your audience aware about your product and its uses. Video centric social channels such as YouTube, Instagram, Snapchat are trending a lot. It is estimated that videos will account for 80% of all consumer Internet traffic in 2 years. You might be just watching videos than reading articles in coming years. Now, before buying in product or getting in service consumers first go online to check the people’s feedback and ratings to the product. People constantly share their opinions on twitter about products. If you are actively participating in social media activities your page will appear in your previous customer’s news feed and they will give you the ratings. You can also request your customers to rate your organization. This will build a trust in visitors mind. Apart from the videos, quality content is also important. Relevant content will help to attract more people. Content sure be precise and grammatically correct. It should be able to convey your message properly. When you share anything on social media, it gets spread rapidly and reaches out to the millions of people within minutes. Facebook, LinkedIn, Twitter has huge amount of content shared by billions of people including politicians, entrepreneurs, professionals etc. Making use of efficient analytics tools will measure your performance and will help you to understand the areas on which you need to work more. This makes it easy to reach out to the target audience. Facebook, LinkedIn, Twitter has inbuilt insights tools which gives the overview of your consumer behavior to some extent. Insights support in strategy planning and implementation to get more leads. With Facebook, twitter, Instagram many other social channels are coming in. Find out different social media that are suitable for your product. If you have clear idea of your target audience, you can find the social channel, so that you can reach out to most of them. For example if your brand is about Books, your presence on niche booklovers channels like GoodReads is recommended. Customer services have gone online. Your social media page should have active contacting facilities such as replying to the messages in shorter time. You can consider installing chatbots to serve as customer representative. Chatbots will chat with the visitors on behalf of you to solve customer’s queries. This will reduce your work as well. With chatbots you can keep in touch with your customers at any time of the day and night. You must have noticed paid campaigns take your ad to most of your target audience as Facebook is concentrating on getting more people involved in paid campaigns so the organic reach of Facebook is falling. It seems like, in coming years, you will need to invest more to get maximum reach, as the organic reach for brand posts has continued to shrink to around 5 percent. Don’t just post something and then disappear for long time. If you want constant engagement, plan your strategy according to social media timings. Keep your audience involved with your posts. Try to make your posts different from other’s to get more Likes, shares and comments. Don’t just post your articles but read other’s articles too. Participate in discussions with your target audience. Try to understand the market situation and consumer behavior. Keep an eye on trending topics and use that information in your posts.